their home on Big Pond. In 2017, they transitioned to Reed’s Landing on Wilbraham Road in Springfield, MA to enjoy their winter months. 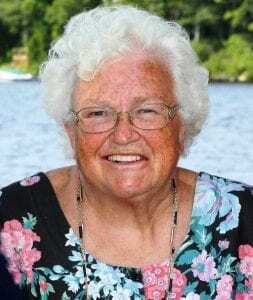 Mary was an avid reader and Scrabble player, talented on the piano, and known for her extraordinary gift of giving children’s sermons in worship. Being ordained as a woman in 1975 set her apart as a trailblazer within the clergy, but her greatest contributions were as a beloved wife, mother, grandmother, sister, aunt, and loyal and dedicated friend to many. Her friends and family marvel at her life of generosity, kindness, warmth, quick wit, hospitality, and remember her engaging smile and welcoming spirit. A celebration of Mary’s life will be held on Friday November 9, 2018 at 11:00 am at First Congregational Church, 18 Broad Street, Westfield, MA. A private interment will be held at Otis Center Cemetery. Mary’s faith and passion for helping others was reflected in her devotion to resettlement of dozens of refugees throughout her lifetime. In lieu of flowers, contributions in her name can be made to First Congregational Church, WARM (Welcoming Assistance Refugee Ministries), 18 Broad Street, Westfield, MA 01085. For more information or to leave a condolence for the family please visit: www.forastiere.com.